"I watched as the faerie woman produced a long flute that appeared to be carved from the leg bone of some animal. At least I hoped it was animal. She began to play the horrific looking instrument and despite her effort the music, if indeed it could be called that, never rose above the level of a whisper. The small army of undead soldiers chasing us suddenly stopped and began to sway to her phantasmagorical playing. She paused briefly and took the flute from her lips. 'Come now.' She said, winded from her playing. 'The dead do not sleep long under the susurrus.'" - From the Journal of Tamara Swift. In many role-playing games that feature vampires, zombies and other forms of the walking dead, one feature is fairly constant. The Undead are immune to sleep, charm and other mind affecting magic. In Ghosts of Albion for example the dead do not sleep, in most fantasy RPG you also can't charm them or use some form of mind affecting magic to get them to do your bidding unless you are the necromancer that summoned them. Given that undead are frequently encountered (even outside of horror games) and used as adversaries then it should stand to reason that someone would have found a way around this. Well in my games it is the fae or maybe the elves in yours. The following text is released as Open Text under the OGL. No other part of this post or art is released under the OGL. Pipes of the Susurrus or Susurrus Pipes appear as a variety of different woodwind instruments. 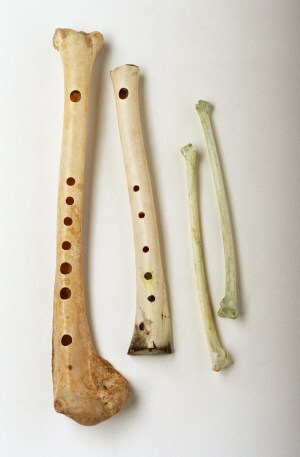 Most common is that of a flute, but pan pipes are also common enough. Rumor persists of a greater Pipes of the Susurrus in the form of a set of bag pipes and created by the Queen of the Seelie Court herself. In all cases the pipes are made of bone. In order to use the pipes the wielder must have the appropriate skill (Perform, Music, Instruments or what acceptable in your system) and spend time practicing the unique music that comes from the pipes. Once done then they may use the pipes to induce a sleep-like state in all undead that can hear the music. The stupor remains with them for the duration of the playing and for half that time again. If the undead are attacked then the spell is broken. Alternately a spellcaster can spend some time with the pipes and use it as a new material component when casting spells that would normally be ineffectual against the undead. This extends to sleep, charm and hold spells, but not to ESP or other mind-reading spells. Pipes of the Susurrus are very rare. The secret of their manufacture are not known to many and the ones that have been made are often destroyed. Intelligent undead (Vampires, Liches, Ghosts) know them on sight and will make all attempts to destroy them. The undead fear the the pipes since they induce not a sleep-like state for them, but a death-like state and most undead fear death more than mortals do. What a cracking idea. I remember encountering a Susurrus in its first outing in The Lichway adventure (as featured in an early issue of White Dwarf). It was keeping hundreds of skeletons in a dormant state with its dronesong. Developing a magical instrument from the creature's bones is genius. When I saw the picture of it I have to admit it was the very first thought I had. All the way back to early 80s and I just now got around to working it up. My collection is now complete! But....I am not done yet!